P.T Barnum is an accomplished showman who is reminisced for promoting hoaxes and for inventing Barnum & Bailey circus (1871). He often regarded himself as a professional showman and that all the eulogies shall make nothing else of him. Also as a politician, P.T Barnum was a one-time Mayor of Bridgeport, Connecticut. In order to know more details about his daughters, wife, family and net worth, stay tuned on the article. P.T Barnum was born as Phineas Taylor Barnum in Bethel, Connecticut on 5th July 1810 to Philo Barnum and Irene Taylor. His father was a fashion designer and into store-keeping. Barnum possessed many businesses over the years which included a lottery network in many states, a general store and real estate. As a business-minded genius, he began a weekly newspaper called The Herald of Freedom in Danbury, Connecticut in 1829. Some years later, the source of his main income – lotteries, was prohibited in Connecticut and this forced him to sell his store in 1834 and moved to New York City. 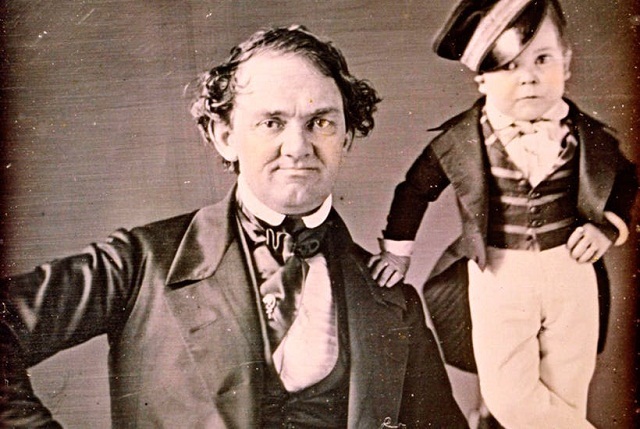 In the following year, Barnum’s illustrious career as a showman was put to a start and his unique adeptness for humbugging was seen when he paid $1,000 to an elderly slave woman named Joice Heth whom he paraded as a 161-year-old former nurse of George Washington. His exhibition of the woman throughout Philadelphia earned him an estimated sum of $1,500 per week. In addition, the skilful American promoter bought Scudder’s American Museum which was at Broadway and Ann Street, New York City in 1841. He further moved on to renovate the building to a grandiose standard, then changed its name to Barnum’s American Museum. Furthermore, P.T Barnum went on to refurbish the museum with numerous exhibits which included dwarfs, magicians, giants, the detailed magnificent archetype of cities and popular battles, exotic women and a menagerie of animals. He then followed it up with the exhibition of a four-year-old Charles Stratton, a dwarf, he called General Tom Thumb whom he declared to be 11 years old at that time. As a result of the grandiose standard of the museum, it eventually gained worldwide publicity to the point of bringing about 400,000 visitors a year by 1849. Although P.T Barnum was already popular for showcasing the weird and bizarre he also hit jackpot in early 1850 with his promotion of Jenny Lind, a Swedish opera singer. After learning of the opera singer’s sold-out concert in Europe, Barnum made a staggering offer to the Swedish Nightingale, which entails him paying her $1,000 per performance for 150 concerts in the United States and also in Canada, and all expenses were to be paid by him. Following the deal, the renown showman realized a huge profit of more than $500,000 from his tour with the Swedish Nightingale. Sadly, in July 1865, P.T Barnum faced a major setback in his business as his museum was razed down by a mysterious inferno. Almost soon after, the enthusiastic promoter opened another museum at a nearby location, but this too was burned to the ground in March 1868. After a while, Barnum came in contact with circus owners, William C. Coup and Dan Castello in 1871, and they merged to establish P.T Barnum’s Grand Traveling Museum, Menagerie, Caravan and Hippodrome which he referred to as The Greatest Show on Earth. He later teamed up with James A. Bailey and James L. Hutchinson in 1881 to form the biggest circus in the world that they called Barnum & Bailey’s. 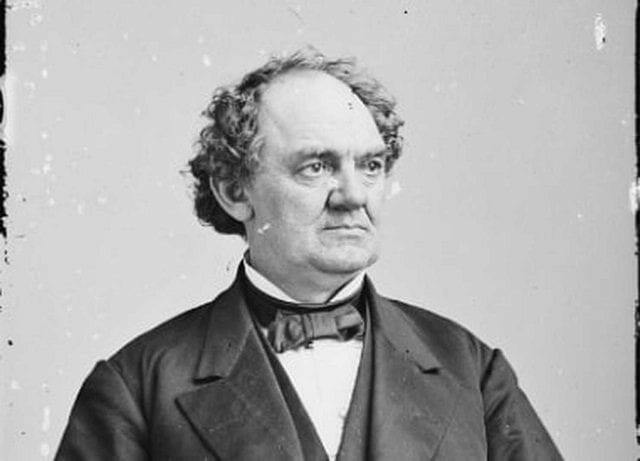 Regarding his political career, P.T Barnum served as a Republican for two tenures in Connecticut legislature in 1865. Almost soon after, he was elected to be the Mayor of Bridgeport, Connecticut in 1875. In addition to his endeavors, the skilful promoter was also an author who had gone ahead to publish many books such as Life of P.T. Barnum, The Humbugs of the World, Struggles and Triumphs. Concerning his death, P.T Barnum died on 7th April 1891, as he suffered from stroke for almost one year. The accomplished promoter was laid to rest in a self-designed Mountain Grove Cemetery, in Bridgeport, Connecticut. The renowned businessman solemnized his union with the love of his life, Charity Hallett on 4th November 1829. They were blessed with four daughters. The couple welcomed their first child, Caroline Cornelia, in 1833. She lived for 78 years before dying in 1911. They gave birth to their second daughter, Helen Maria in 1840, and she lived for 80 years. Unfortunately, their third daughter, Frances Irena who was born in 1842 died after two years. After a while, the couple had their last child, Pauline Taylor in 1846. She lived for 71 years before joining her parents in 1917. See Also: Stephen Hawking – Bio, Wife, Kids, Family, Net Worth, How did He Die? P.T Barnum lost his wife on 19th November 1873 and was remarried to Nancy Fish the next year. She later died in 1891. Though his exact net worth cannot be quantified at that time, the amazing promoter actually made a bank, thanks to his illustrious career as a showman, businessman and also a politician. However, P.T Barnum was rated as one of the richest men in America during his time.